Heat, dust, flak, sparks, flash, molten metal or noise. A non-permanent, reusable curtain wall is a flexible solution for fast changing environments. Prodimax is an experienced manufacturer of removable insulation covers. Our quality removable insulation covers are manufactured quickly and efficiently for a wide range of industrial equipment. 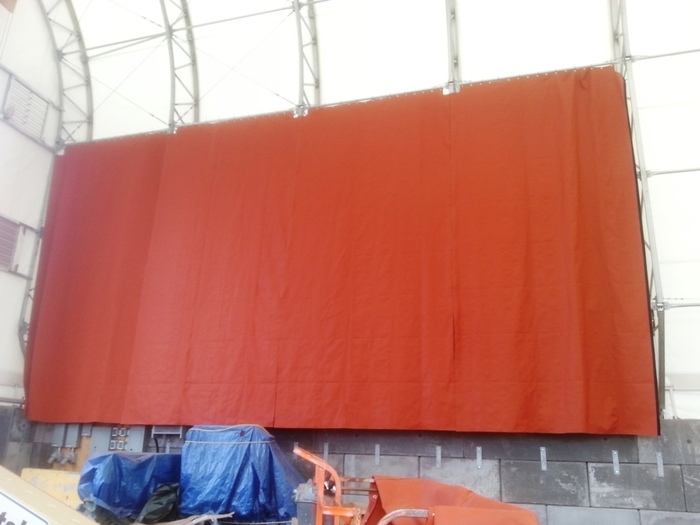 We also offer acoustical covers, heating covers, fireguard shields and protective curtains.